Today’s topic is Food Waste. It was reached in a roundabout manner during a conversation that started with the lack of snow and ended with fox hunting. But somewhere in the middle was a sojourn into the appalling waste of food that takes place in our country, and the world in general. A new report by the The Institution of Mechanical Engineers claims that up to half of the world’s food is wasted. An estimated 870 million people around the globe do not have enough food to eat. Food waste has always been one of my ‘things’. Ever since I can remember. My most notable, and embarrassing moment, was raging at a group of 10-15 year olds having a ‘midnight feast’ on a beach for throwing food at the cliff-face. Needless to say, I didn’t make much impact on the giggling gaggle. I more recently read “Waste: Uncovering the Global Food Scandal” by Tristram Stuart where he talks about waste at an industry level. The amount of perfectly edible food that is binned on an industrial scale when so many people are starving is enough to put you off your lunch. That’s big business and what can we do about that? But this latest report is also talking about us, the individuals and the families and how much we’re wasting. Not quite so easy to ignore. I don’t imagine many people want to waste food, it’s a result of lack of time, awareness and education and in some cases downright laziness. It’s easier to throw those soft peppers or tomatoes away than take 20 minutes to whisk them up into a freezable soup or sauce for another day. I know, I do it too. But it’s not all about the environment. 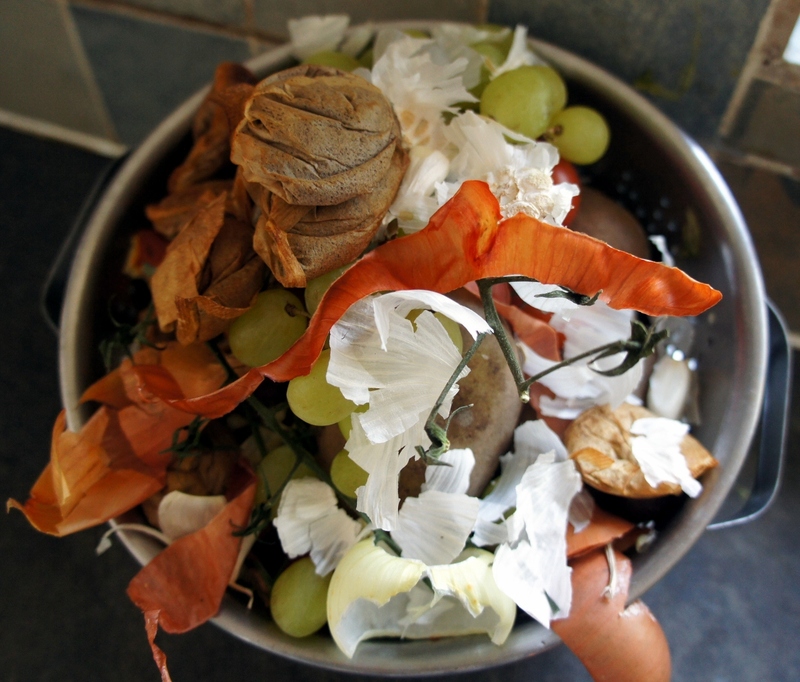 According to the Love Food, Hate Waste website, food waste costs the average household with children £680 a year. That is a staggering amount of cash to simply throw away. The reasons behind our wasteful behaviour are put down to buying too many perishables, the Supermarket BOGOF offers have been targeted as unhelpful here, or simply cooking too much and then either being unable to or not realising we can freeze it. As I said, this is a pet thing of mine, and I’ve long been careful to be as wasteless as possible. I recycle and compost and am proud of using just one 50 ltr bin bag a week. I have a cupboard full of Tupperware which I make regular use of to store leftover’s for lunches or use in sauces and freeze extra portions of soup for a day when I don’t have time to cook. We have a vegetable garden and I grew lettuce and spring onions last year, as they are often the things that get lost at the bottom of the salad drawer or chucked. Picking what you need, when you need it is most definitely the way to go! I also froze batches of parsley at the end of the summer and hung my coriander to harvest the seeds. So my project this week is going to be not to throw *anything* away. It’s not going to be easy, especially as my daughter is having a birthday party and buying the right amount of food for that will be a challenge. But, we all have to start somewhere, and there’s no point in complaining about something if you’re not going to at least try and change it! So, I suppose I should go and do something with those peppers and that bag of coriander I noticed squashed to the back of a shelf…. Salsa anyone?